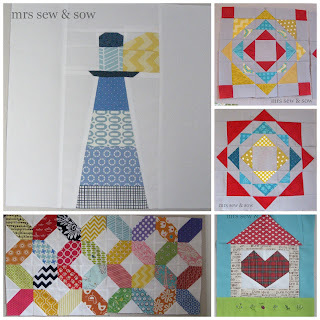 mrs sew & sow: My March in Fabric! 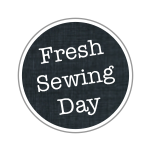 Fresh Sewing Day is upon us again! How does it come round so quickly ?? And indeed I am a day late but what is that between friends? 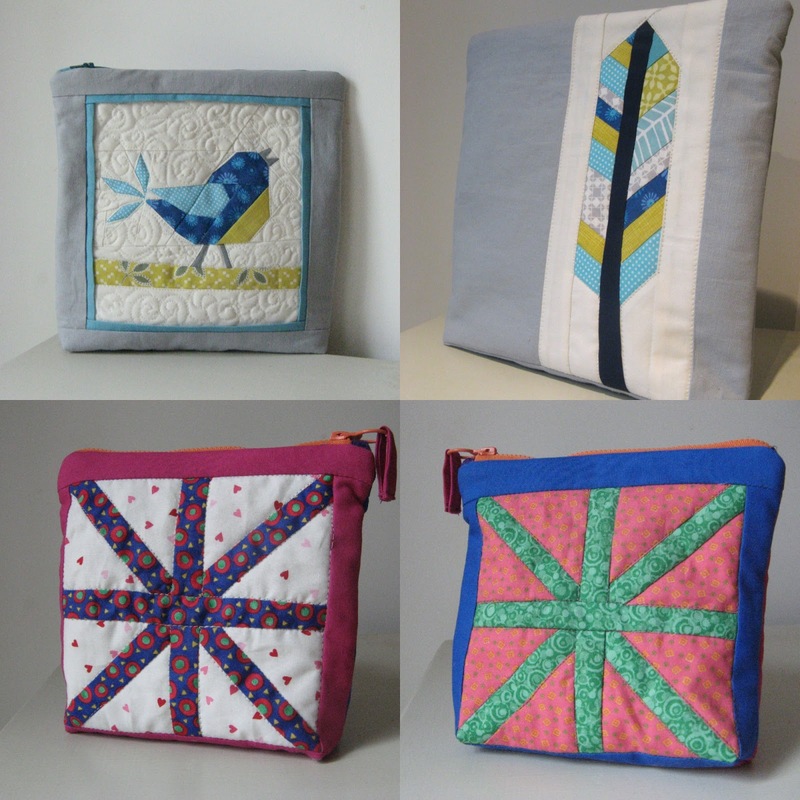 A couple of double sided pouches! Still love that birdy/feather one which I sent off in a swap! And some other blocks - just cos! 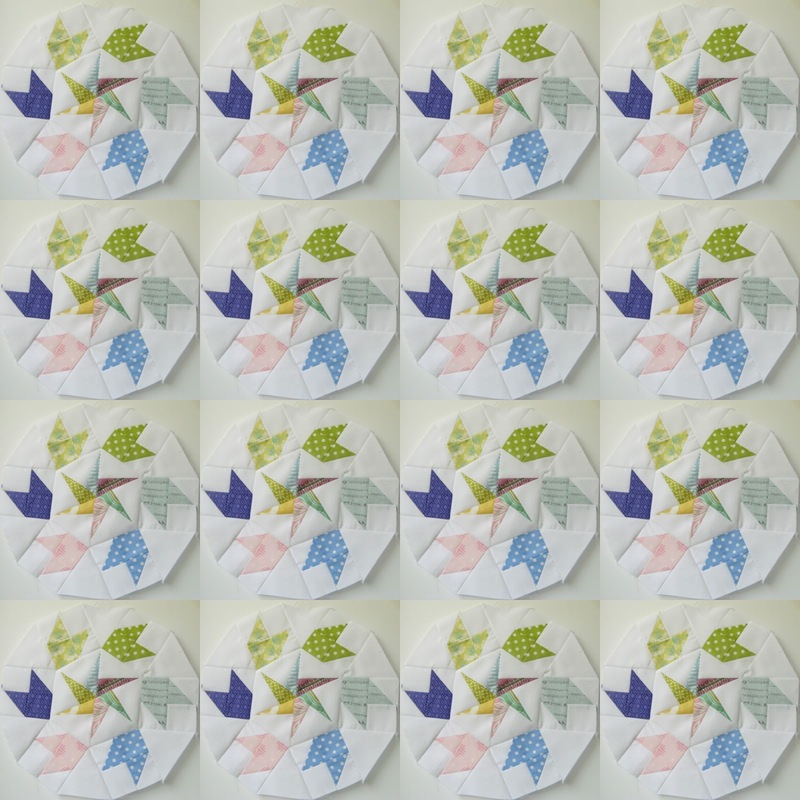 Linking up to Lynne - you should too and look at what everyone else is up to! Great eye candy here! 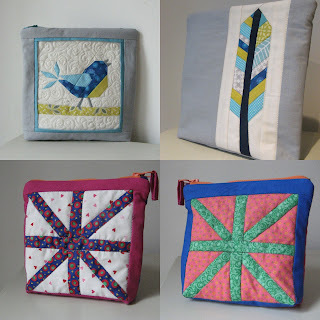 Your birdie pouch is just lovely and your bee blocks give me new ideas. Loving it! What a fab month you had. 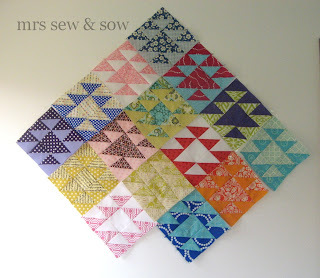 I love the tulip blocks and would say go for it! Love the new header. And all those blocks you have made! Lovely block, reminds me of spinning Catherine Wheels [fireworks] seeing them all together. Love the new header, as well as the rest of the sewing. Yes!!! Go for it! That last mosaic looks incredible! I like the tulip star block, nice design. 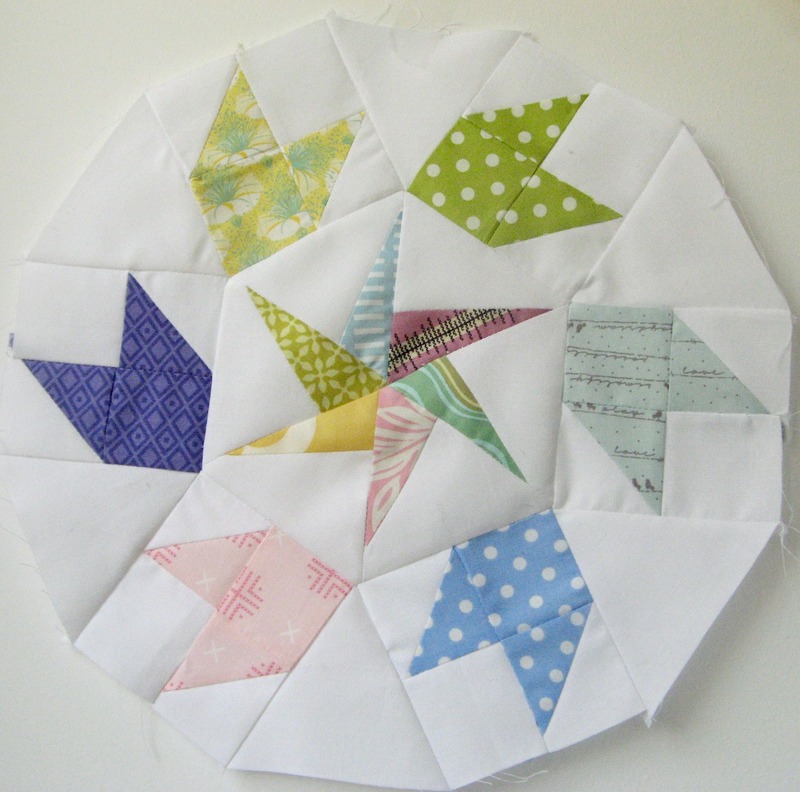 The Queen Bee blocks look great too. You did remember to feed the kids in March and walk the dog etc? your blocks are always so amazing! love the one in your header. Go for it I say. 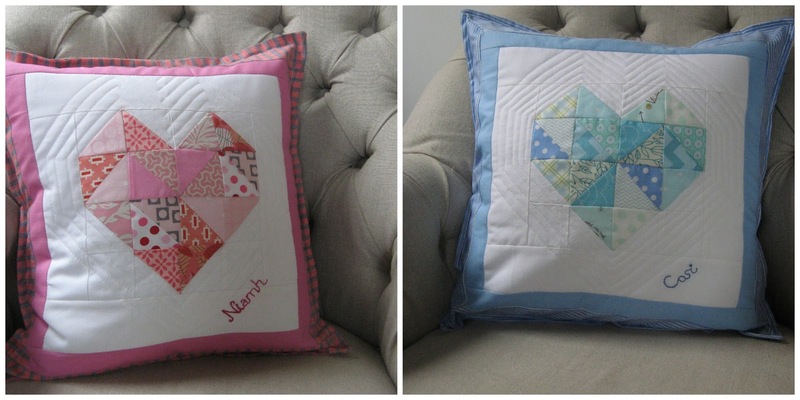 Lovely to see them all together, the tulip star would make a fab top! 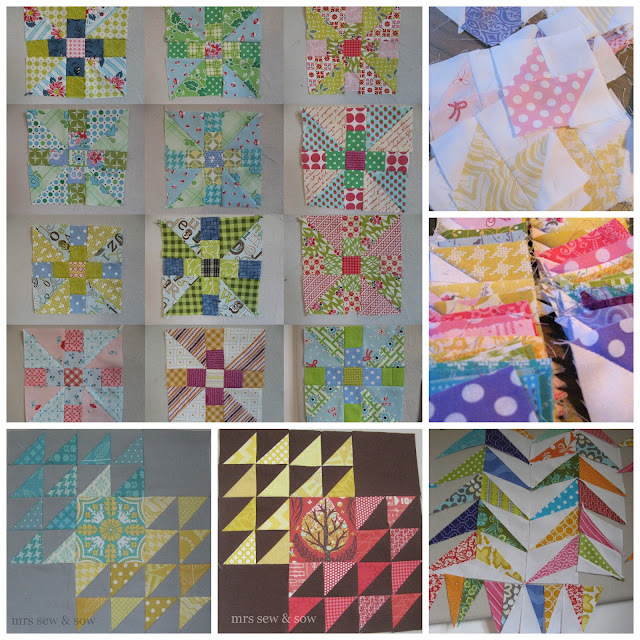 Crikey your casual "some other blocks" would make me happy on their own but then you have all your other great makes this month too. Amazing! 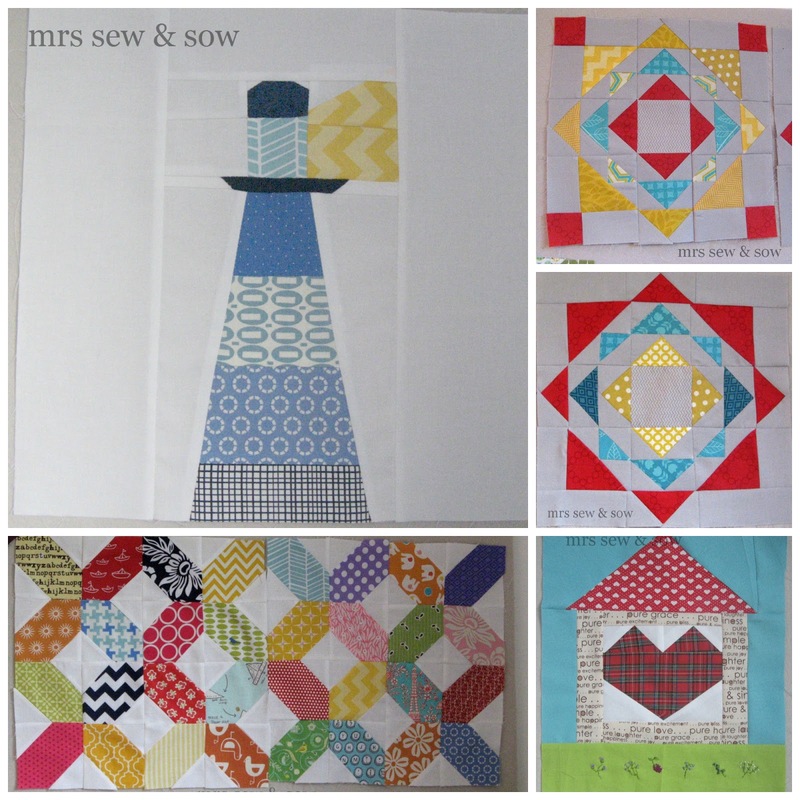 I'd say you have had a great month Nicky - lovely stuff as usual :) Your 'just cos' blocks are gorgeous. Wow, that is a lot of blocks! Yes, go for it! It will look fantastic! I like the butterfly at a crossroad block but I'm loving your new take on it. Go for it!